There is no end to the entertainment available in and around Los Angeles including amusement parks, beaches and piers. If you’re looking for fun family activities outdoors here’s a list of ideas! The first thing most people think of when it comes to amusement parks in California is Disneyland. There is so much to do and see at the park. We go often and have learned the ins and outs of visiting both Disneyland and California Adventure. Check out my park tips. 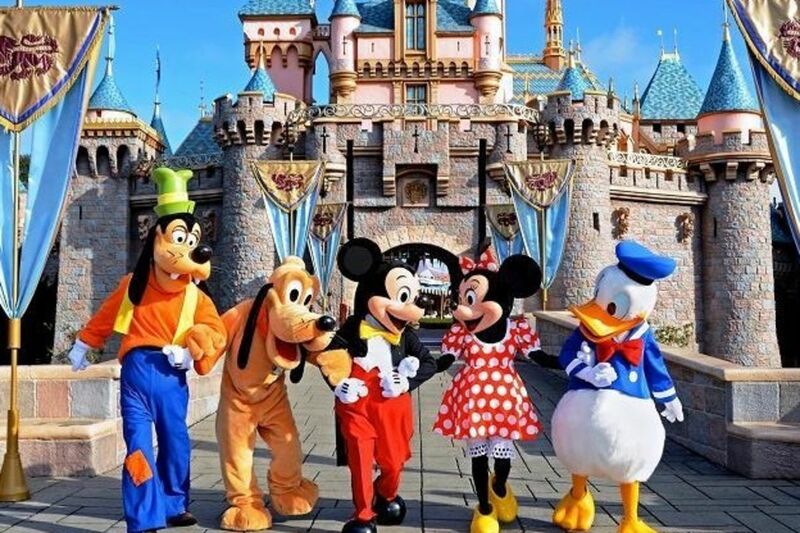 Also visit the Disney site to book overnight stays and plan your vacation. Looking specifically for what to do with littles? Click this link for the list of toddler entertainment. While in Anaheim, make a jaunt over to Knotts Berry Farm to ride the rides and check out all they have to offer. If you’re heading to the San Diego area, be sure to visit Legoland! You can even go behind the scenes of the Lego Movie and stay overnight in their new hotel. (Photo courtesy Theme Park Insider). Annenberg Community Beach House makes it super easy! Park in the lot and pay for your space at the machine near the sidewalk. You have the option to pay hourly or $8.00 for the day. The Beachhouse features a pool, beachside cafe, take away cafe counter, a small playground, outdoor shower with four high and four low spigots, clean outdoor bathrooms with soap and sinks, and a splash pad. The best part is that they provide large canopy tents. The majority of the tents are FREE first come first serve. But you can reserve tents with tables online. Perfect place for a group playdate or birthday party! There is also a Beach Rental cart that rents seats and umbrellas and sells sunscreen and more.Dine local at the Back to the Beach Cafe right next to the playground. They also have a take-out window. Classes are offered in both buildings or you can rent out the buildings for events. The colorful Santa Monica Pier offers a variety of entertainment, dining and shopping experiences, including the thrill rides of Pacific Park; a historic 1922 Carousel, and an interactive aquarium. As you stroll the planks of the Pier, enjoy lively street performers — from musicians to artists plus fabulous vendor carts and don’t miss some of the best sunsets along the California coast. The Santa Monica Pier is open 365 days a year. Admission is free. The Paradise Beach Cafe in Malibu offers an extensive menu in the restaurant and a To-Go Menu of soups, salads, tacos, big buckets and sandwiches outside. Have breakfast at the beach and then spend the morning! Then get lunch from their To-Go window. Parking can be a bit tough so I suggest you go early and go on a weekday. According to The Official Guide Los Angeles Cabrillo Beach is a family favorite. Popular among travelers and locals hitting the beach with kids in tow, Cabrillo Beach is a tranquil setting near San Pedro with everything you need for the perfect family outing. Located on a thin peninsula near Point Fermin Park, the beach actually has two sides — one outside the breakwater that’s open to the surf, and one that’s open to the harbor. Depending on the activity, you can select either side and enjoy some adventure or some well-deserved relaxation. After you’re finished with the beach, head to the nearby Cabrillo Marine Aquarium and enjoy the interactive exhibits, tide pool touch tanks and other unforgettable attractions.